This month’s Vignette asks: What else can contemporary design do? With its Cubist style, all colourless and clean, the current wave of contemporary-design composition may not have crested, but it’s close. You can only do so much with any style, including modern, before the wave starts to break and it comes time to bail. The result, at a glance, is mostly modern. Except the vintage rug. And the champagne gold cabinets. There’s also the oversized, flared plaster picture frame bordering the street-style mosaic of Jay-Z, which, if you close one eye and cover with your thumb, you’ll still see reflected in the side mirror, staring at you, questioning. “If I proposed this idea to someone, they’d probably say no,” admits Sidhu. “But when you actually see it all together, it works well. Plaster is centuries old – the pyramids have plaster – and I love pairing it with something ultra modern [the painting]. And the cabinets are gold – which, again, isn’t an easy sell – but it’s such a beautiful, subtle, champagne gold that adds a bit of luxury.” It all makes for a cool, comfy basement feel – dropped ceiling included. Timeless, intricate plasterwork is always available at Tuscan Stoneworx. Price upon request. 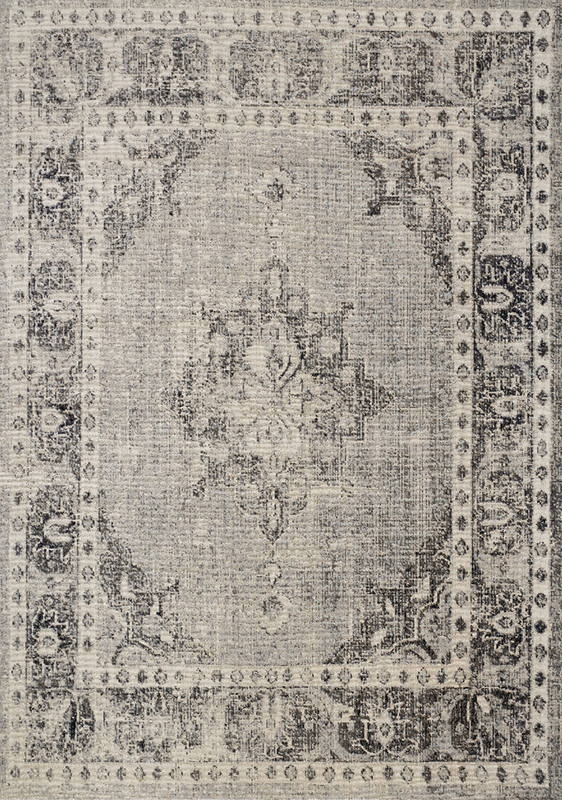 Give a modern home a touch of old with a vintage rug from Park Furnishings. Price Upon Request. This article appears in the December 2018 issue of Avenue Edmonton. Subscribe here.